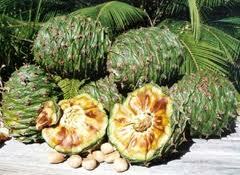 It’s BUNYA NUT ‘fall to the ground’ SEASON! 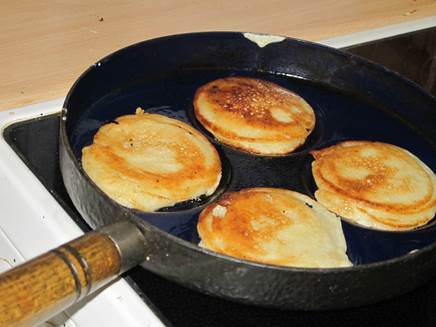 So this Thursday night, Zaia Kendall will entertain us and satisfy our stomachs with her Bunya Nut Pancakes. 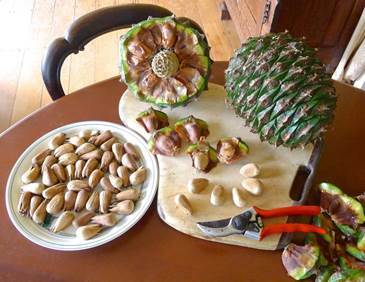 Zaia will turn Bunya Nuts into Bunya Nut flour, and then weave her magic and allow us to sample her Bunya Nut Pancakes afterwards. Tom says they’re his favourites! So come to the meeting and learn from this fabulous demonstration. 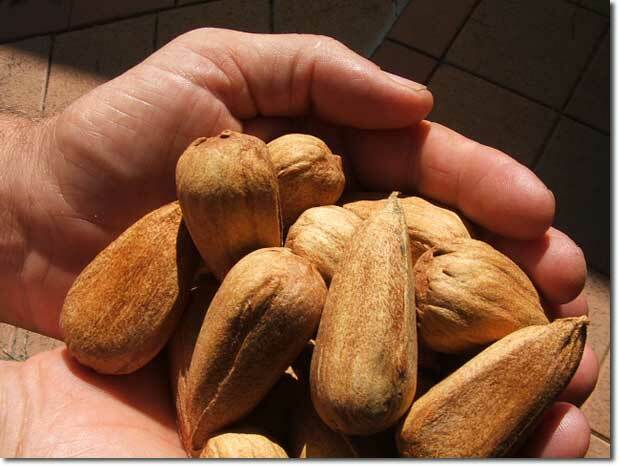 In March the demonstration will be ‘Madagascar Bean Hummus’. If you would like to do a demonstration, or if you have a demonstration suggestion then please call Dee Humphreys on 0497754486. I may well be stupid, but I cannot find the recipe that was going to be posted? Right down the bottom of the website Home Page, there is a list of Permanews Categories, which includes Recipes. Click on Recipes and you will find it and a few others too. Otherwise, you could try the search buttons at the top and bottom of the web page and type Bunya or whatever word you are looking for. This information is obviously useful for lots of other purposes also.